Kerasal Nail: Does It Cure Toenail Fungus? Many people suffering from nail fungus turn to Kerasal Nail to cure their infection. This product comes with bold claim of super fast results and a convincing ad, so why not giving it a try? 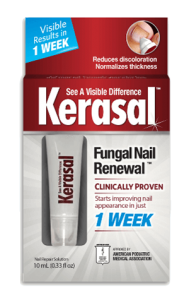 On the Kerasal Nail package you can read that it offers a “Fungal Nail Renewal” formula. The problem is that it is not clear what “renewal” exactly means. Does Kerasal Nail eradicate nail fungus? Keep reading to get our key findings about Kerasal Nail and how it compares to EmoniNail which offers a proven treatment option to get rid of nail fungus on the long term. What does Kerasal Nail claim to be? Kerasal Fungal Nail Renewal is an OTC product that improves the appearance of fingernails and toenails affected by fungus. Since the American Podiatric Medical Association approved this topical solution as being beneficial to foot health, this product appears to be a good choice for people affected by toenail fungus. The Moberg Pharma, a Swedish company operating in North America, markets Kerasal Nail Renewal with a bold claim: 90% of users see results as quickly as one week! Let’s take a closer look at what this product is and how it works. What Does Kerasal Nail Do? This product restores a healthy appearance to toenails that have become damaged or discolored by onychomycosis, or nail fungus. It does this by rehydrating any brittle parts of the nails. The Kerasal solution penetrates the entire thickness of the nail and removes damaged or unhealthy layers. With these things gone, the nail starts to look clear, healthy, and normal. Because of this, Kerasal normalizes the thickness of your infected nail. Just before heading to bed, spread a thin layer of Kerasal over the infected nails. You should also put some of the Kerasal under the edge of your nail as well. Give your nails a few minutes to dry. And make sure they have dried all the way before putting things like socks on your feet. Do this once a day for at least eight weeks. If your nail fungus is severe, you may need to continue this treatment for three to six months. Kerasal Nail contains disodium EDTA, glycerin, glycol, hydroxide, lactic acid, propylene, sodium, urea, and water. This composition is surprising and raised a big red flag on our end because none of these ingredients is an active anti-fungal agent such as Undecylenic Acid or tea tree oil. With such ingredients Kerasal Nail can maybe improve the appearance of damaged nails but how can it actually treat and remove a toenail fungus infection? When people start using this product, they’re excited to see fast results. But after continuing the treatment, many of them end up disappointed. Because Kerasal didn’t work the way they thought it would! Kerasal Nail improves the appearance of infected nails but it doesn’t get rid of the fungus itself. In other words, Kerasal provides cosmetic improvement rather than a real cure! Is Kerasal Nail a Scam? We wouldn’t call it a scam because this product delivers some benefit by softening the nail and improving its appearance. But it is certainly not a fungus cure and its advertising is deceptive! Kerasal should be better defined as a cosmetic nail restorer. It does a good job restoring the healthy, natural appearance of your nail. But it doesn’t cure the fungal infection that keeps alive under better looking nails. Kerasal might provide fast and temporary improvement in nails appearance but not a real cure for long lasting results. If you’re looking for an effective nail fungus treatment, you would better stick to products designed to cure fungus at its root cause. EmoniNail is the most recommended alternative to Kerasal Nail if you are looking for a definite treatment to nail fungus. Emoninail proved to be more effective than any other toenail fungus treatment out there, and customers who tried it were more satisfied with this product than with anything else they’ve tried before. Since its release in 2012, over 12,000 people have used EmoniNail and successfully cured their nail fungus. EmoniNail is the best way to win your battle with fungal nail infection while restoring the appearance of your nails definitely. Why Is EmoniNail Better Than Other Treatments? EmoniNail is a blend of powerful anti-fungal ingredients, like Undecylenic Acid (which is recognized by the FDA), tea tree oil, and other agents that prevent skin irritation. Because of the treatment’s balance between soothing and acid ingredients, you can apply EmoniNail twice a day. The treatment penetrates your infected nails and kills the fungus under the nail plate. It does this faster than any other nail fungus treatment, without leaving your skin flushed or irritated. We don’t just give our recommendation for this product and hope for the best. We know that the company behind EmoniNail provides top-notch customer care to make sure any patient receives the best possible results from the treatment. The most common reason people don’t get results from nail fungus treatments is because of improperly prepared nails. EmoniNail shows users how to prepare their nails before application and informs them about how to get the best results from the treatment. Their team will follow up with your progress through an app and provides more help should you need it. 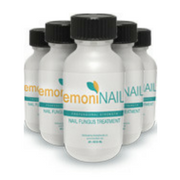 EmoniNail works for all levels of nail fungus. If you don’t see any results from this treatment within 60 days, you can return this product and get 100% of your money back. No questions asked. That means there’s no risk for you when you buy this product. And even with this return policy, only 0.06% of customers have ever sent EmoniNail back. EmoniNail is an over-the-counter, meaning you can buy as many bottles as you want without any prescription. It is also very easy to apply EmoniNail, and you don’t have to worry about any side effects, dangerous or otherwise. How Fast Does Emoninail Work? Most users notice an improvement after the first two weeks of treatment. However, we recommend you continue to use EmoniNail for at least three months. This will prevent any fungus from returning in the future. If your fungus development is more severe, you should apply EmoniNail to the infected nails for as long as five months. EmoniNail and Kerasal Nail can hardly be compared because they operate at different levels. Kerasal Nail is a cosmetic product that renews temporarily the appearance of your nails on a superficial level. EmoniNail, on the other hand, is a treatment that removes the fungus infection at its root cause for long term results. 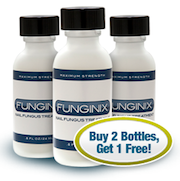 While both products can help you improve your condition, EmoniNail actually cures the fungus and resolves the problem definitely.